Chocolate, orange, and a party bundt, what's not to love? 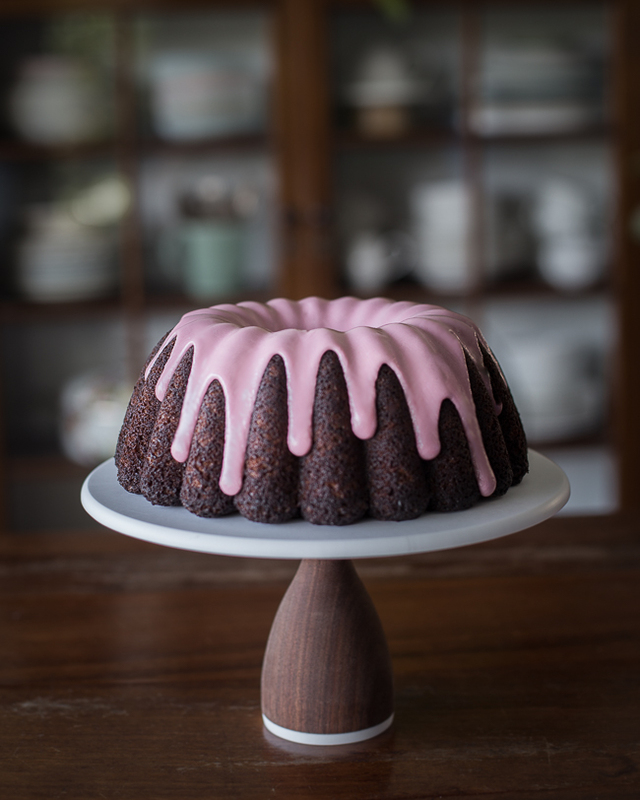 This chocolate, blood orange and buttermilk bundt is a bit of a favourite; the sponge is light and moist, the gentle chocolate flavour and tangy blood orange, a perfect pair. The recipe suits a 12 cup bundt pan, but if yours like mine is a 10 cup, it also makes 6 bonus cupcakes! This bundt pan is genuinely called the "party bundt", it's a Nordic ware pan from Williams-Sonoma, and is my absolute favourite; it's really pretty, not too intricate so is less likely to stick, and its lovely symmetrical pattern makes for perfectly even portions. If you've missed blood orange season, a regular orange will work just as well, your only sacrifice the most perfect shade of pink! I generally use dark or foil cases, I think they look better when baked. • add the blood orange zest and mix to combine, the batter looks really weird at this point, but stick with it! This cake looks absolutely gorgeous!